Le Belvedere ARE YOU A VENDOR? Le Belvédère is located thirty minutes north of Ottawa, near the picturesque village of Wakefield, Quebec. 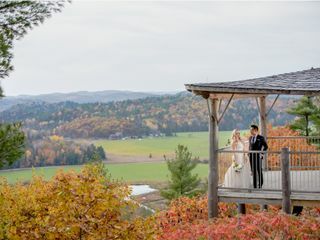 They are surrounded by pristine forest and countryside views. Their 8,000 square foot venue is meticulously designed with 16 foot ceilings and over 1,000 square feet of windows. 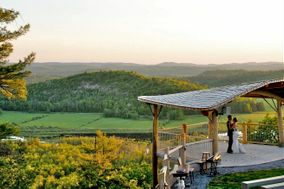 The building is nestled on the edge of a cliff with stunning panoramic views over the Gatineau Hills. 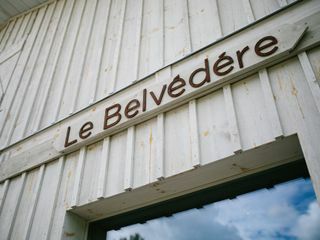 Le Belvédère is a family run business with deep roots in the hospitality industry. 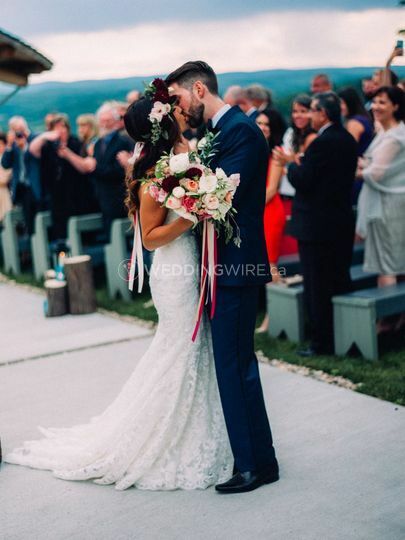 From the time Le Belvédère was simply a dream unfolding, to today as one of Ottawa’s most sought after wedding destinations, each and every decision has been made with your wedding day in mind. 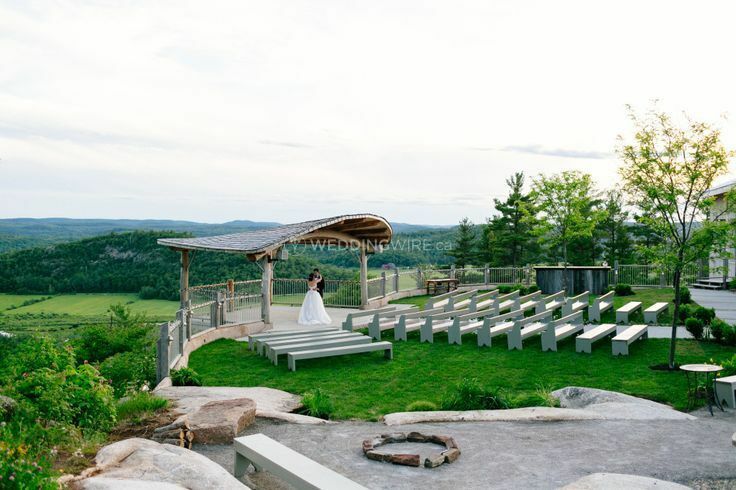 Their outdoor grounds include a beautiful gardened terrace designed for your cliff-side ceremony. A large cedar deck for cocktails is nestled within the rock and shaded by large white pines. An evening campfire crackles as guests gather around. 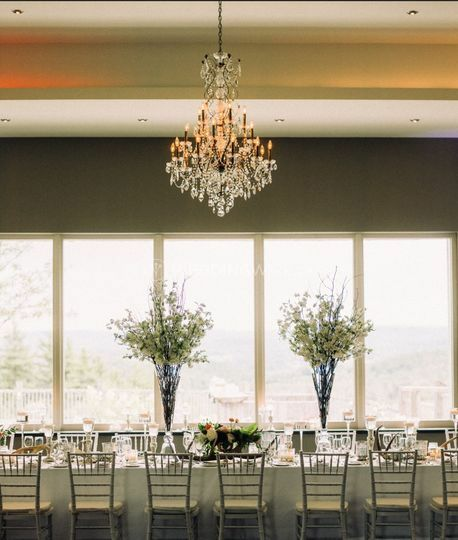 Their interior space offers a modern elegant fireside lounge and a dining room with ample space for 200 guests, complete with crystal chandeliers and sleek modern décor. Use of our outdoor cliffside deck with lounge seating and outdoor bar. They strongly believe the foundation of great food starts with the ingredients. That’s why at Le Belvédère they believe in using only the freshest ingredients available, with as many locally sourced options as possible. To ensure this exceptional quality is met in each and every meal they prepare, they’ve launched their own private garden on 3 acres of farmland just minutes from Le Belvédère, all dedicated to supplying their kitchen with fresh herbs, edible flowers and garden vegetables. Classically prepared soups and sauces, the finest cuts of meat and the freshest quality ingredients, all prepared in-house by their experienced and passionate chef, are a perfect recipe for an unforgettable dining experience. Tucked between the trees and just a short stroll from Le Belvédère, the Guest House is an elegant country home for all your wedding day needs. An exclusive feature for all Belvédère brides, the two-storey home boasts three bedrooms, three washrooms, and a spacious dressing room. Able to sleep six to ten people on your wedding night, the Guest House comes with a fully equipped kitchen, coffee, and fresh linens. Its exquisite grounds offer a great outdoor space for pre-ceremony photos and its quiet rooms are perfect for elderly relatives or children. Located at the north end of Wakefield, less than ten minutes from Le Belvédère, is The Wakefield Grand. Lovingly restored, the Grand is nestled on six acres of natural forest and ponds. Their nightly rate includes exclusive use of the grounds, accommodation, continental breakfast, and complimentary shuttle service to and from Le Belvédère. The Grand accommodates a maximum of 28 persons. The Grand is a perfect complement to an already exceptional wedding. They offer a peaceful overnight oasis for visiting friends and family. Their beautifully designed outdoor fireplace area provides an intimate space to unwind in the wee hours. The Grand’s beautiful architecture and elegant interior provides for endless photo opportunities. What a perfect day! My husband and I got married at Le Belvedere on Saturday, July 8th. The venue is absolutely gorgeous and the food is amazing! Jessica and her team are amazing. I cannot gush enough about Jessica + the team at Le Belvedere. 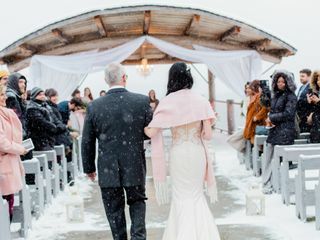 We had a magical winter wedding but along with that came inclement weather and major delays with guests and bridal party arriving. Although we started our ceremony an hour late, with the help of Stephanie Mason from Stephanie Mason Photography and DJ Jeff from Capital Events + Entertainment, Jessica and the Le Belvedere team got us back on track for timing so we could enjoy everything as it was supposed to be scheduled. 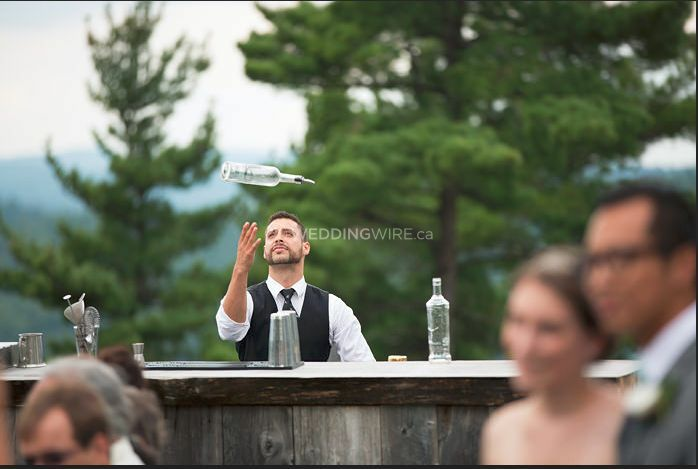 Between the diligent care for dietary restrictions to the setup and cleanup of the venue, I cannot speak more highly of the extraordinarily organized and fun-loving spirit of the team at Le Belvedere. 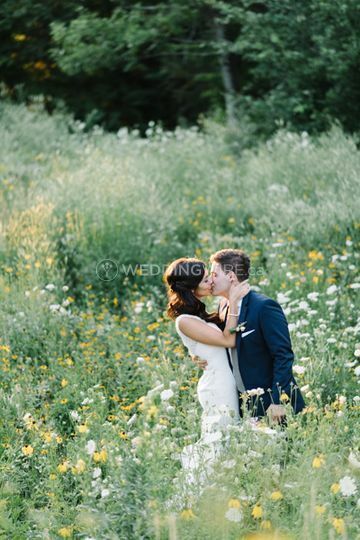 Jessica, you truly are a gem and we were so grateful to be able to have our wedding at the most beautiful venue in the Ottawa / Gatineau area, Le Belvedere. 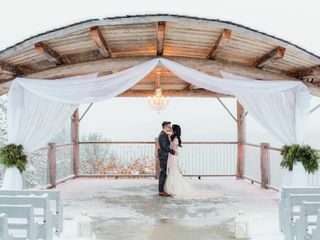 Not only is Le Belvedere THE most stunning venue in the Ottawa/Gatineau area, but Jessica and her husband are incredible people to work with when planning your most special day. From the moment my (now) husband and I met with Jessica we knew we were in excellent hands. 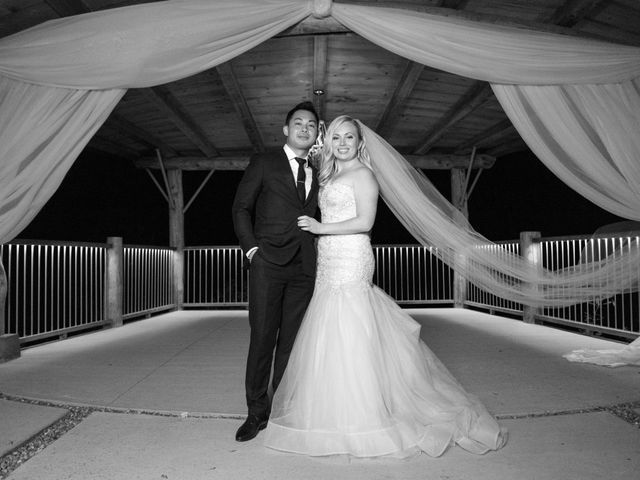 Jessica truly surpassed our expectations ... when you book at Le Belvedere, not only do you get a fantastic venue, but you also get a wedding coordinator. 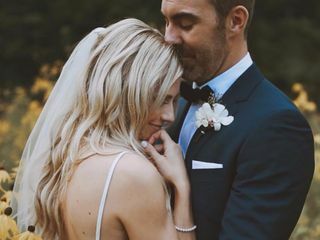 Jessica took care of so many unexpected details (provided many of our rustic decorations, did up our seating chart, took care of the complete decor setup and full take down at the end of the night, and so much more!) 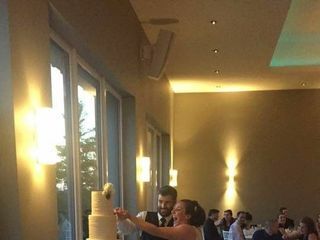 The food was phenomenal, the entire staff who catered our wedding were wonderfully helpful and friendly and so many of our guests commented that our wedding was the best they had ever attended. And if all that isn't enough, you also get a HUGE guesthouse onsite to enjoy at the end of the night (our entire wedding party was able to stay with us). The Venue- Jessica, Kyle + Brian (owners) very clearly had a vision when they decided to move forward and build Le Belvedere.They have done such a phenomenal job with every single aspect and detail that has gone into it. Not only is it breathtaking but it is also comfortable and functional. The rustic, yet modern design and décor is stunning and unique. 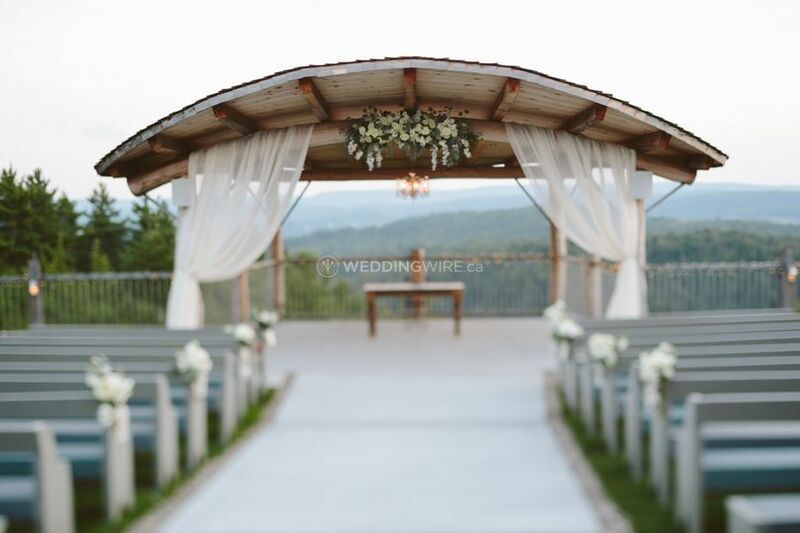 The outdoor ceremony location provides incompariable views, and really doesn't need much décor, as the spot holds so much beauty on its own. 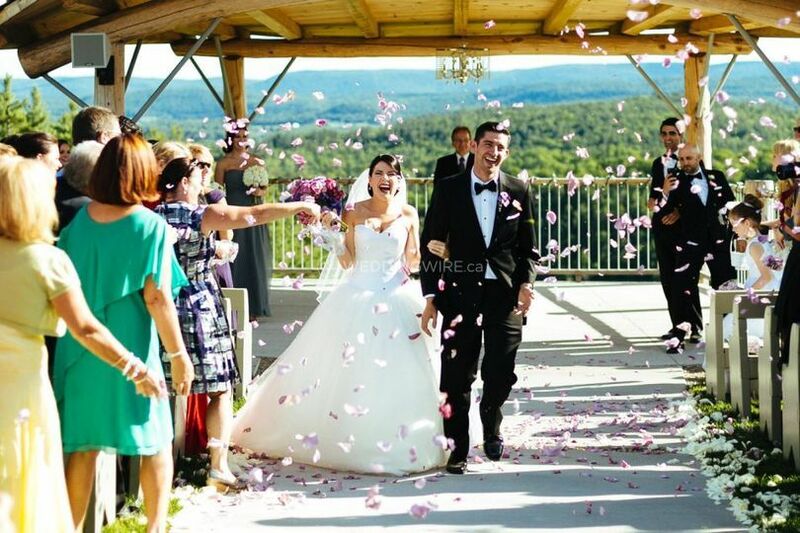 Le Belvedere also puts Bride/Groom's minds at ease by providing a beautiful alternate indoor ceremony room if weather doesn't permit for the outdoor location. Jessica + Kyle- your customer service skills are extraordinary and the way that you handle and respond to each and every phone call or email shows your dedication and passion for what you do. You were such a pleasure to work with and you made every step of the process a breeze.Never once did I worry about things coming together. Your capabilities were very obvious, and you had a way of putting us at ease. 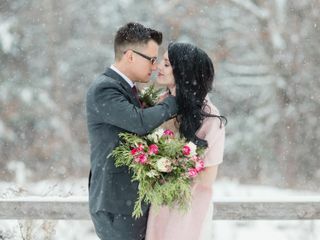 Not only did they ensure and help us through the planning process but they also made things come to life beautifully the day of by helping to coordinate with vendors, and set up our extra details and décor. Jessica also provides a beautiful wooden card box, rustic frames, and tea lights for those who desire their use. They are all beautiful additions! Food- The chef at Le Belevedere provides so many delicious and impressive options that we really struggled to decide which to offer our guests after our complimentary tasting. We ended up choosing the stuffed spinach and mushroom chicken and filet mignon in a peppercorn sauce. From hors d'oeuvres to dessert our guests enjoyed every bite, and admired the beautiful presentation. From servers to bartenders, everyone was very friendly, prompt and did a wonderful job ensuring each guest was happy from beginning to end. LATE NIGHT buffet was spectacular! Our guests loved both the stations we decided to add- Poutine and Taco. All the ingredients were top notch from pulled pork to selected Quebec cheeses. I would highly recommend adding one, or both of these stations to your evening, as I'm sure your guests will be as happy as ours were! 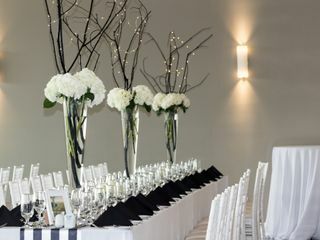 The Guest House- With your wedding, you also receive a complimentary stay at the beautiful private guest house, just a short walk from the main reception hall. This property is STUNNING. It was a very comfortable and accommodating place for myself + bridesmaids to prepare for the wedding, take photos, and enjoy a nice lunch and moment of serenity before heading into a busy evening! Each of the rooms are luxurious, spacious, and provide ample privacy. This allowed for our family (we have 3 children) to stay comfortably the night of the wedding. 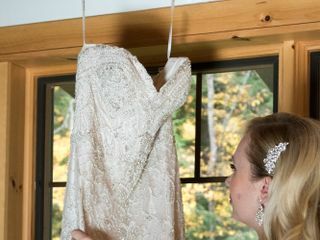 The house also includes a gorgeous bridal suite/ dressing room, and a beautiful room upstairs away from the chaos for the bride and groom to stay. It was an amazing added bonus!!! 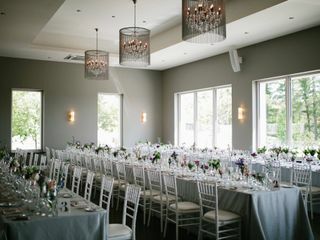 The Wakefield Grand- The owners of Le Belvedere also have a gorgeous boutique hotel which they allow Bride/Groom to rent out for their guests if desired. This is a fantastic option if your relatives live a distance from Wakefield, and are in need of overnight accomodation. 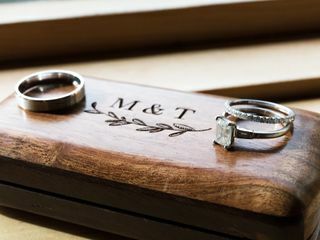 The hotel is just as stunning as the wedding venue, and feautures the same rustic, yet modern vibe. They even offer a compliementary shuttle service to and from the wedding for any guests staying there. Our guests were blown away by the beauty and service of the hotel and were mentioning wanting to do a return visit in the near future! AGAIN... Le Belvedere Team- Thank you, thank you, thank you for giving us our dream wedding. Everything exceeded our expectations and the expectations of all our guests and for that we are very grateful. 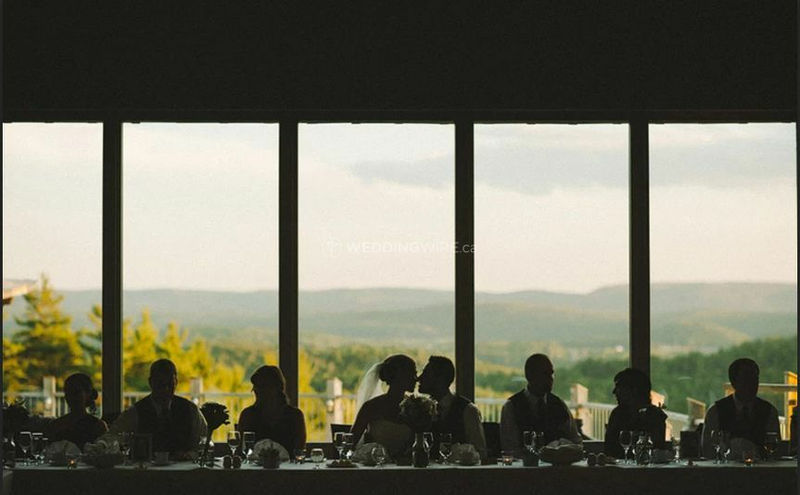 If you love nature, the great outdoors and a stunning view, than this is your venue! Drive up the hills into Wakefield, Quebec to Le Belvedere and take it all in. A gorgeous, wonderfully manicured space welcomes you. 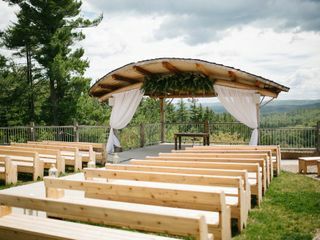 Guests sit on sweet benches, looking out onto the valley of gorgeous trees. The archway covers those being wed with this gorgeous backdrop. The outdoor area has a beautiful wooden bar area set up for guests to have cocktails and appetizers, while the photos are being taken; and what pictures you can take! Whether its a rocky background, the valley, trees and forests, a field of wild flowers, you have many options for photography. Le Belvedere takes care of ALL of your needs, offers their professional opinion and respects your wishes. 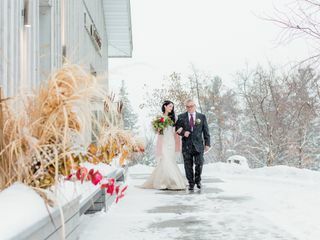 Not only did my husband and I enjoy the venue thoroughly, our family, friends and any vendor were impressed by how well they were taken care of. As an avid foodie, I was concerned about the food....NO NEED! Food was excellent!!! The options are fantastic, from appetizers to mains to dessert to my late night poutine bar!!! The menu is gluten free, vegetarian options are available and the vegan options (as stated by my guests was outstanding!) They catered to our every need in a professional, thoughtful and loving manner. I could write for hours on our experience... Do yourself a favour and look up this venue!